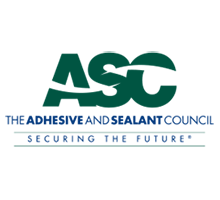 Founded in 1875 ‐ The Longest Continuously Operating Adhesive Company in the World. A focused, laser‐sharp market and product approach to our customers’ needs. Global manufacturer and formulator of hot‐melt, water‐based, dextrin and protein adhesive. Since 1887, H.B. Fuller has been a leading global adhesives provider focusing on perfecting adhesives, sealants and other specialty chemical products to improve products and lives. With fiscal 2017 net revenue of over $2.3 billion, H.B. Fuller’s commitment to innovation brings together people, products and processes that answer and solve some of the world's biggest challenges. Our reliable, responsive service creates lasting, rewarding connections with customers in electronics, disposable hygiene, medical, transportation, aerospace, clean energy, packaging, construction, woodworking, general industries and other consumer businesses. And, our promise to our people connects them with opportunities to innovate and thrive.